Invite people who you love to be around, and who will enjoy each other’s company. Give some thought to how certain guests may interact or clash. If you think there will be a serious conflict between guests, consider your reason for inviting these individuals. If you have a serious need to include them, then take care to ensure they do not overlap much at the event. Parties have become synonymous with trendy, delicious bites. While you don’t need to spend an arm and a leg to entertain, you should put effort into the food you choose to serve. Choose a variety of options that will please most. And always have a vegan or vegetarian option available. Depending on the event, drinks may be one of the most important things to your guests. Consider creating a signature cocktail or two for your party. This will help you keep costs in check while providing a fun, conversation-starting atmosphere. You don’t need to have a Luau to have a theme. Your party’s theme can be as simple as a color scheme and as elaborate as Cirque du Soleil. 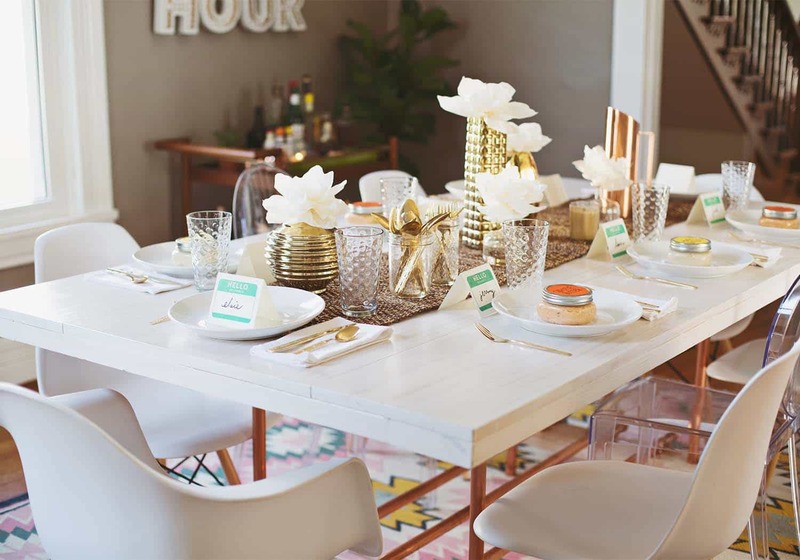 Once you pick a theme, stick with it and make sure it carries throughout your party. Keep the silverware, plates, signature drinks and decorations within your selected theme. For extras like a photo booth, make sure the props provided are theme-focused, too. Planning a party is work. Attending and hosting a party is even more work. If your event is something that lends itself luxury, hire extra hands. You can find people to work your party as servers, bartenders, chefs, and clean-up crew. This way, you can enjoy the fruits of your labor and mingle with guests. Cheers! Remember that no matter how much time and effort you put into planning a party, it means nothing if guests feel their presence is unappreciated. Be enthusiastic and welcoming when your guests arrive. Encourage conversation between guests, and put your guests at ease by ensuring they have what they want before they ask for it. Some good rules of thumb include telling your guests thank you as they arrive, and also providing a tour or details about the location, so they can find various amenities throughout the night (like the bar or the bathroom). What else is essential for a party? Let us know in the comments below.